Why is Formic so good? With over 20 years’ experience in the field, and with extensive experience of both paper and online data capture, Formic has the insight and technology that is exactly suited to the needs of the NHS and other healthcare providers. Formic customers tell us that our integrated, multichannel technology has transformed the rate and scale at which they can implement surveys to support quality and service improvement, as well as meet national reporting requirements. There are no limits to the number of surveys you can create or process, nor on the size of the survey. Our solution enables health and care organisations to control their entire feedback approach, by allowing users to design and manage their own surveys and deliver outputs that meet organisational needs at a local and national level. Data can be exported in multiple formats for use within your own systems, or viewed through an interactive dashboard in real-time. And unlike some other providers, Formic is excellent at creating, scanning and processing paper surveys, as well as synchronising the same surveys across numerous channels. This means you can maximise response numbers by using the formats they find the most familiar, and be confident that you are collecting consistent data from all respondents. Formic can also help you move away from paper to electronic surveys, using handheld and mobile devices. Our experience means that we can help you at every stage of the process. Implementation is quick; with Formic, you can be processing thousands of surveys every month within a matter of days. And costs are competitive, and reflect the size and scale of your needs, as well as how you want to host or outsource the solution. Customers can be assured that they are using trusted technology. Formic maintains its Information Governance Statement of Compliance (IG SoC) attainment Level 2 on a yearly basis, ensuring alignment to NHS information governance policies, standards and best practices. Formic is ISO27001-certified and data is securely stored in UK datacentres. 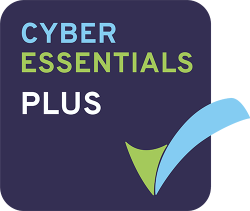 We also hold Cyber Essentials Plus accreditation under the government-backed cyber security scheme, providing its many NHS and other customers with additional assurance that it has taken the essential precautions to ward off the most prevalent forms of threats coming from the internet. We are also compliant with NICE and patient experience best practice guidelines, as well as NHS England survey methodologies for the FFT. Formic has high levels of customer satisfaction and retention, through our partnership approach to delivery, our dedicated and flexible support service, and our quick-to-implement technology. We offer full training and supporting materials at your site or in our offices near Heathrow.